This week I'm busy preparing taxes, working on lots of Maiedae stuff, and relaxing. Soren will be 2 months on Wednesday and I CAN'T believe it! He's already grown out of his newborn clothes. He's turning into such a little cutie. Snapshots of the Week: 1// Love these beautiful swaddle blankets from Coveted Things. So soft and sweet. :) 2// Lucky Charms are my weakness. 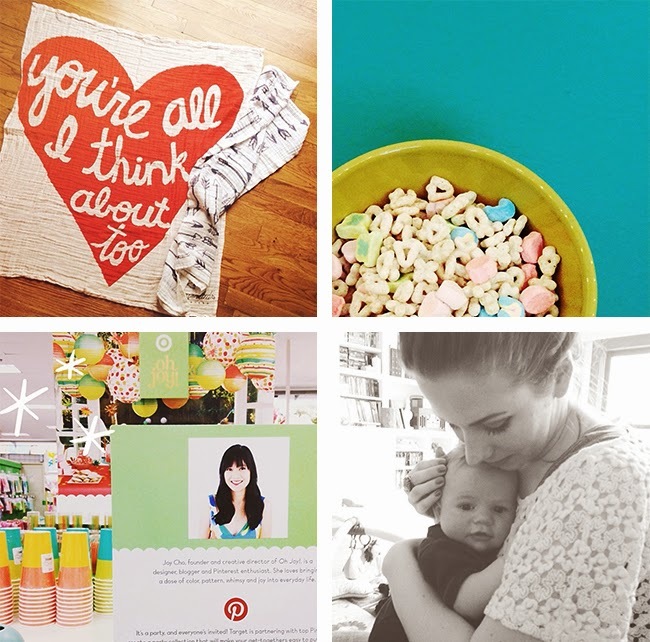 3// Bought way too many goodies from Oh Joy's line at Target. So fun! 4// My little muppet buddy! * Planning to make this soup this week. 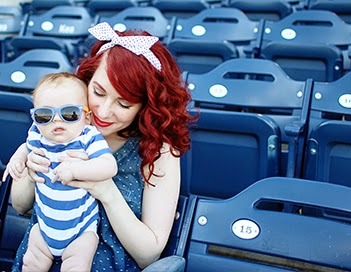 * Love this "Secrets of a Stylish Mom" series. * Really love this new blog and her beautiful photos/recipes. I've been meal planning and getting back into my healthy lifestyle/eating. So far so good. I love the way I feel when I'm eating healthy and being active! Looking forward to shedding the rest of my baby weight and getting my muscle tone back. ;) Hooray! * I've only had three pedicures in my life. * I use Caps Lock instead of Shift.